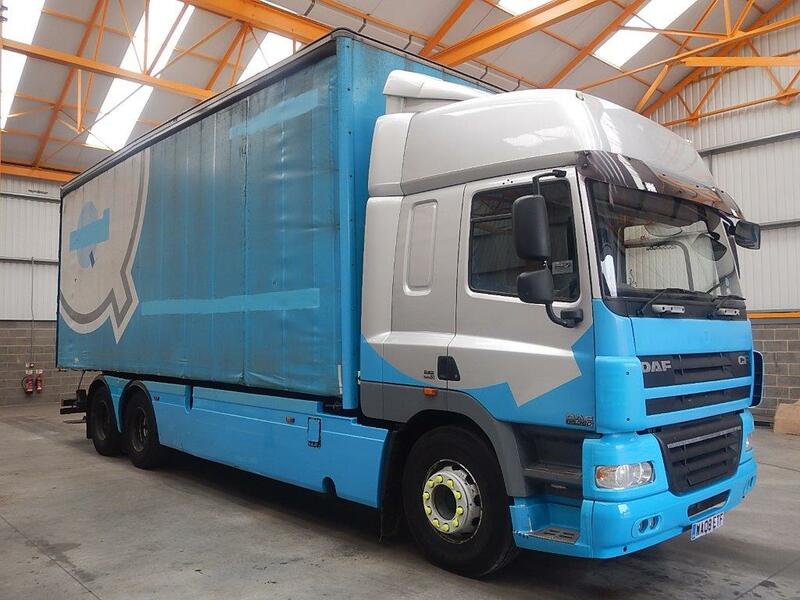 DAF CF 85 Series Sleeper Space Cab. DAF 360 Bhp Turbo Air To Air Charge Cooled Euro 5 Engine. Air Suspended Twin Wheel Rear Lift Axle. 26Ft 7ins Curtainside Body C/w Barn Doors And Wood Panel Floor. Internal Height : 9Ft 10ins. Side Aperture : 9Ft 4ins. Internal Pedestrian Tailift C/w Wander Lead. Vehicle Height : 4.5 Mtrs. Mileage As Shown : 743,218 Kms.